So you're probably wondering about licenses. What types of licenses are there? With tech giants like Google, Microsoft, Amazon, Apple and IBM all using Open Source Software (OSS) across many different platforms and services, it seems par for the course that any size company looking to either keep pace or leapfrog past their competitors should strongly consider leveraging the OSS community. No matter what industry. Do I need to adopt open source or proprietary software? Or a little bit of both? How does licensing typically work in these different scenarios? 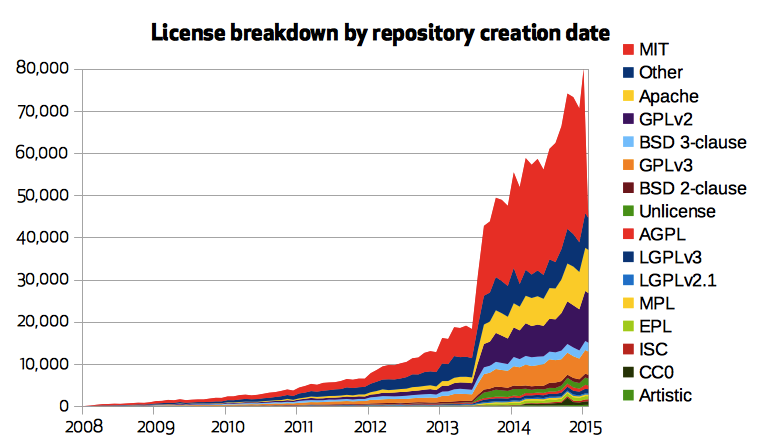 Do open source Software licenses allow for unrestricted commercial redistribution and use? In this article, we provide an introduction to OSS including details about licensing, to give you an idea on how to get started. Open Source Software (OSS) was born in the late 1990s. Industry leaders met to reflect on the success of Netscape's decision to provide the source code for their popular Netscape Communicator Internet Suite. The group identified that the term 'free' was too ambiguous, and that a different terminology or phrase needed to be chosen. The term 'open source' was coined. The act of open sourcing code, as seen with Netscape, paved the way for software users and developers to collaborate among a much larger community than before. There are many benefits to using OSS. A survey by GitHub and the broader open source community helped identify what is most important to OSS users. Most notable were Stability and Security. These traits were identified due to such a large community of developers, engineers and hackers who have visibility on, and can provide valuable feedback to any OSS project. On the other side, the school of thought is that proprietary (closed) software has limited code review and/or visibility, in turn being more susceptible to bugs or exploits. Also code reuse is something to consider as a tremendous advantage in using open source projects (in such regard see this white paper by The Eclipse Foundation). In terms of the impact that OSS has had across many different industries: “...These days, many programs are 20 percent original code on top of 80 percent previously open-sourced code”, zdnet.com. 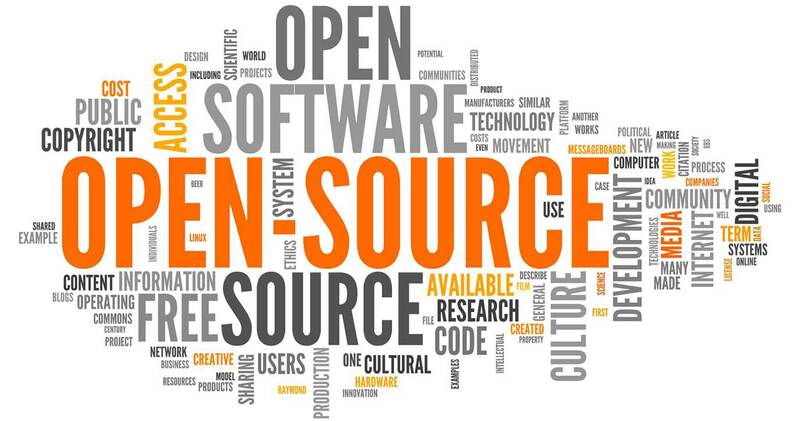 Practically speaking, OSS is a decentralized model to develop software in which the copyright holders of such software, allow the code to be reviewed, changed and redistributed for any purpose, i.e: commercially, under open source or free licenses. Not to be confused with Shared Source, where the source code is simply allowed to be viewed (and in some cases modified). In contrast, proprietary software that is licensed is typically provided closed source, as a compiled or binary format. In some cases, it can be provided open source to the customer, with the stipulation that any modification to that code becomes the intellectual property of the licensor. These details are typically governed by an end user license agreement (EULA), in which the license allows the individual or company adopting such software to be used (but not owned) as a part of their final product. If you intend to modify proprietary source code, and include that code in your product, be sure to review in detail the EULA for the particular software. See also Copyleft (aka Restrictive) and Non-Copyleft (aka Permissive) below, for further important details about types of open source licenses. For a more exhaustive definition of OSS, see: The Open Source Definition on opensource.org. There are two main types of software license categories: Copyleft (aka Restrictive) and Non-Copyleft (aka Permissive). The term “Copyleft” is derived from the more familiar term “Copyright”. Copyleft software licenses require that people who distribute the original code or make derivative works must make the source code or the re-distributed copy, available under the same license terms as the original. Topics like Patent use and Copyright are also allowed under certain conditions. Note: not all Copyleft licenses have the same permissions, conditions and limitations. Be sure to review. Non-Copyleft software licenses allow for the distribution of copies and modified versions as long as attribution is given back to the author, and that the author is not liable in any way. The original type of license optionally, does not need to be followed. Some Non-Copyleft licenses also allow for things like Patent use (Apache Software License 2.0), while others do not (MIT License). Note: not all Non-Copyleft licenses have the same permissions, conditions and limitations. Be sure to review. To learn more, see the Choose A License website. Here you will find for each license a breakdown of what is required or what is allowed. Consider the Yocto Embedded Linux Operating System. Depending on what your Operating System requirements are in terms of things like: kernel, drivers, modules, libraries and packages, there could be hundreds of open source and/or proprietary software included in the final build. You may want to understand what the impact of each license means for your project. Fortunately with Yocto (and also Android OS), a manifest file is generated when the OS image is built which contains a list of all software and their respective licenses therein. See: https://www.yoctoproject.org/docs/1.8/ref-manual/ref-manual.html#enabling-commercially-licensed-recipes for more detailed examples of statements to help limit these potentially unwanted license types in your Yocto embedded linux project. Licensed was open-sourced by GitHub in February, 2018. It is a Ruby gem to cache and verify the licenses of dependencies and check their status. The Licensed program then uses the Licensee program to identify dependencies and their licenses, including their license text. Licensed can do this via a continuous integration (CI) job. ScanCode scans code and detects licenses, copyrights, package manifests & dependencies and more … to discover and inventory open source and third-party packages used in your code. FOSSA provides Software as a Service (SaaS) for dependency tracking, license compliance and attribution notices on autopilot. If you’re thinking about incorporating Open Source Software in your project, you have some decisions to make in terms of software and licensing. Whether you decide to redistribute software without touching any code, the very nature of Open Source Software allows for this. If your project intends to modify and redistribute code commercially, you should also be able to re-use this code, permitting you follow the license guidelines. We highly recommend reviewing each license to be sure that they can be incorporated with your project, comfortably. One useful way to think about what direction to take, is to look at it in terms of freedoms. What types of freedom are you looking for in your project? Do you want to have optionality in the future where you can take what you build as a derivative work and make it proprietary (Non-copyleft / permissive type licenses)? Do you want to provide your derivative works back to the community, possibly because the Open Source recognition is a part of your brand or strategy (Copyleft / restrictive type licenses)? Choose wisely, which style of freedom is best for you or your company.